Grabbing attention. Giving someone a jolt, like those silly devices some of us had as kids that gave your new acquaintance or a friend a tickling sting when you shook their hand. Zap! What gets your blog initially noticed? When you tweet a blog, you’re at a disadvantage. There's nowhere to include a brief summary to inspire tweeps to read further. It HAS to be the title that does it. So it has to be a really good one! I admit that I struggle with titles at times though now that I’ve written a couple hundred blogs they come to me a lot easier than they did at the beginning! Here are a few ideas. Try the ones that apply to your style of writing. A twist that ties in another subject. I love doing this. Recently (blushing) I read 50 Shades of Grey and saw some themes in the book relating to the marketing realm. So I called my blog Fifty Shades of Social Media. For anyone who has read this book I’m hoping they are curious enough to click on the link and see how far an imagination can really stretch. Shock them! Make them say “What??? ?” It can be a little scandalous or suggestive in nature. 50 Shades of Social Media also applies to this approach. Zing them! Another example: Stripping on Facebook: Do You "Like"? This one WAS about stripping and was a “dare” of sorts from a clothing company. How far would the campaign and the model go to sell garments? Make it humorous. We all need humor. We all crave humor. It lets us let go for a moment. 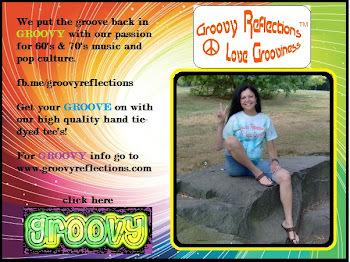 Why not add a chuckle right in your blog? If people are grinning from the title they’ll assume there’s more laughter to be had and click on that link. 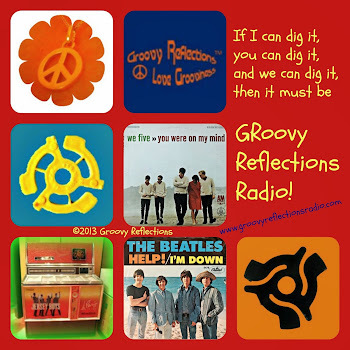 For this blog I used examples from my Groovy Reflections Facebook page to drive home a point. Toasters, Cooties, Gas Prices, and You. By throwing things together that wouldn’t necessarily be together, the idea was to bring a smile to your face. And it really was a post about the game Cooties! Speak directly to your readers. There’s nothing like the word YOU. What? You’re writing this to ME? I must find out why so I’ll click on the link. Example: Boomers, Brains, and You. While this post was more about me and a discovery I made about myself, rest assured that I’m not the only one that has had this particular revelation. Anyone can relate to it. Ask a question in your title. Folks will want to know what the answer is. Is There an App for That? is a recent blog post that marvels at the dizzy array of what's available to us and pokes fun at what isn't (yet). Make sure that your title is relevant and on subject. Don’t let your reader down. There has to be a tie-in to what you’re saying in the blog. If there isn’t, you may alienate the reader. Barclay James Harvest sang about titles in the 1970’s (see below). You are entitled to stop by and say hello! Twitter, Facebook, Google+, or the website. So true...I have made a few sales of my paintings based on the TITLES! another great piece of writing Gerry and so true..
Great article. Titles are something I struggle with! New follower via GFC, btw. Found you on Twitter. Thanks Mark! It can be SO challenging to get the title right...truly the hardest part for me. Hi Liesel. Glad you enjoyed. Sometimes it also helps to show your blog to someone else prior to publishing and bounce some title names off of them. Haven't done that lately but I have found it helpful.